add the 3 cans of tomatoes purée and the broth and bring to a boil. reduce heat and simmer for 20 minutes. then remove from heat and blend with an immersion blender. Then add coconut milk and bring to medium heat. season with salt and pepper and top with fresh basil. Mash avocado in a bowl then mix in all additional ingredients. 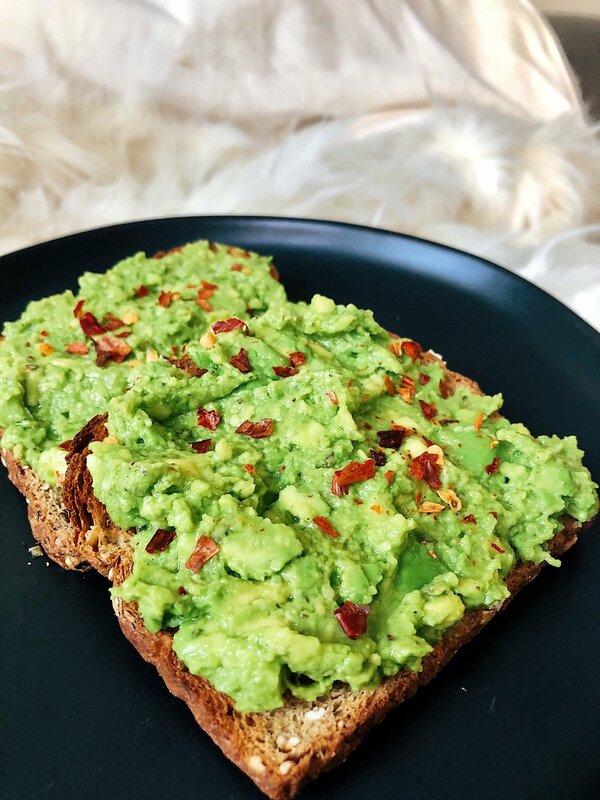 Toast the bread then spread avocado mash on toast. Spread yogurt and almond butter on the bread. Top with bananas, granola and chia seeds. Spread yogurt on the bread. Top with apples, granola and chia seeds.